Welcome to Buddys Chennai, your one stop destination for cues ports and table tennis. Book now with just a few quick and easy steps. We are a sports development and activity center that creates customized training programs in cue sports and table tennis for our clients. 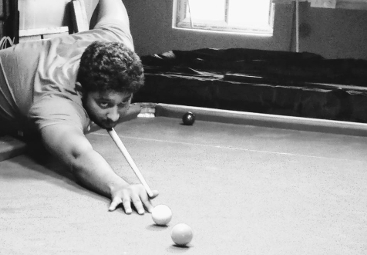 Buddys is a labour of love when it comes to Snooker and Billiards in Chennai. It was originally setup in the late nineties and has continued its legacy of welcoming new people and generating interest in the game. There is nothing like playing a game of pool and spending quality time with ones family & friends with a bit of friendly competition thrown in. We regularly conduct tournaments in Billiards, Snooker, 9 ball pool, 8 ball pool and table tennis as a way to encourage talent, Buddys tournaments as the name implies are friendly competitions held typically on Sunday afternoons to nurture the winning spirit and give our patrons the opportunity to showcase their skills. Our program is designed based on skill level with practical tests to both guage skill and measure improvement. so it doesn't matter if you have some experience or none at all, with the help of teaching aides and tried and tested training methods our coaching programs will help you play the right way. Facebook page Follow us to get regular updates about tournaments and events. Abinava Krishna Sports Director Buddys, Managing Partner Vatula Inc.